Known in local mariner circles as one of the easiest inlets to cruise through in North Carolina, Masonboro Inlet is much more than just a straight-shot channel to the Atlantic Ocean. The waters and the cool beaches surrounding the waters are ideal for a myriad of activities, including fishing, shelling, surfing, and just enjoying a gorgeous day on the beach. Plan an outing to the beaches that border this sliver of water, or take a cruise to explore abundant Cape Fear waters, and enjoy one of the most popular waterways west of Wilmington. Masonboro Inlet is a small inlet, measuring just .2 miles wide or so at the most, and is located due east of the city of Wilmington. The inlet connects the Intracoastal Waterway and Greenville Sound with the Atlantic Ocean, via the skinny Shinn Creek, and also separates the isolated Mansonboro Island Reserve with the busy vacation town of Wrightsville Beach. The inlet has a place of honor in regional history, as it was a popular channel for blockade runners during the Civil War. Once through the inlet, it was easy for these vessels to “hide” behind the barrier islands that comprise the coastal Cape Fear region before heading inland to Wilmington and other southern destinations along the Cape Fear River. The inlet has two beaches bordering the central channel, and two rock jetties that extend all the way out into the open ocean. Because of this geography, the inlet is relatively easy to travelthrough for vessels of all sizes, regardless of a low tide or shoaling which can occur in other regions of the coastal Cape Fear landscape. Visitors will find ample options for getting to Masonboro Inlet – regardless of whether they are on foot or in a vessel – thanks to its convenient locale in the coastal heart of the Cape Fear region. To reach the beaches that border Masonboro Inlet, visitors will want to start in Wrightsville Beach, and then head south along Lumina Avenue all the way to the end of the island. At the very southern tip, visitors can park at the Jack Parker Beach Access parking lot, and simply walk along the beach to eventually reach the inlet’s borders. Visitors should note that the parking lot can fill up quickly, especially in the summertime and on weekends, so getting there early is key. Located north of the inlet, (and less than three miles away from the inlet itself), this launch site in Wrightsville Beach features five launching lanes, and 68 parking spaces for vehicles with boat trailers. Located just four miles south of Masonboro Inlet in the town of Wilmington, this launch site features a single launching lane, parking for about 40 vehicles with trailers, and a courtesy dock. Ideal for Carolina Beach visitors who want to reach Masonboro Inlet, this popular launch site is located just south of the Mansonboro Island Coastal Estuarine Reserve. The site features five launching lanes, a separate hand launch site for kayaks, and approximately 100 total parking spaces, with 81 parking spaces for vehicles with trailers. Once you’re close to the inlet, there’s a far reaching range of activities to be enjoyed. Make a beach trip even better by uncovering these things to do that are best enjoyed by this famous sliver of water. Boating –Mariners adore the Masonboro Inlet simply because it’s so easy to access and cruise through. From here, mariners of all varieties can easily reach the Atlantic Ocean, the Intracoastal Waterway, the 8.4 miles of deserted beaches along Masonboro Island, and many more coastal Cape Fear destinations. Surfing – The rock jetties that border the inlet tend to churn up the waves, and as a result, the beaches bordering the inlet can be very popular with the local surfing crowd. Just use caution surfing close to the rocks, and going through the inlet waters themselves – especially if there’s high winds and a swift current present. Shelling – The beaches bordering the inlet are fantastic grounds for shelling, simply because so many shells can effortlessly travel through the deep ocean waters towards the shore with every incoming tide. Try to hit the shoreline around low tide, and in the early morning hours – especially during the peak summer months, when the beach crowds can be thick. Fishing – Like shelling, fishing is exceptional close to the inlet because of the wave of species that travel to and from the inland waters to the open ocean. Get a saltwater fishing license beforehand, and enjoy casting for seasonal catches like red drum, cobia, trout, mullet, bluefish, and more. Kayaking – Paddling around the inlet is a pleasure, simply because Mansonboro Island Coastal Estuarine Reserve to the south has so many marshes and salty channels of water to explore. Use caution in the inlet itself, however, as currents can be deceptively strong. Birdwatching – Birdwatchers will want to head to the quieter soundside regions of the inlet, (or to the completely undeveloped Mansonboro Island Coastal Estuarine Reserve), for an opportunity to spot dozens of different shore birds, wading birds, and other species that flock to the water. Look for rare species like least terns and plovers that tend to cluster next to the water’s edge. Don’t forget the camera. The local beach-scapes and panoramic water scenes are ideal for beautiful and natural photos. For the best views, (and the best photos), try to coincide a visit around sunrise or sunset, when the area is dappled in a rainbow of colors. For great fishing and shelling opportunities, aim for a fall visit. 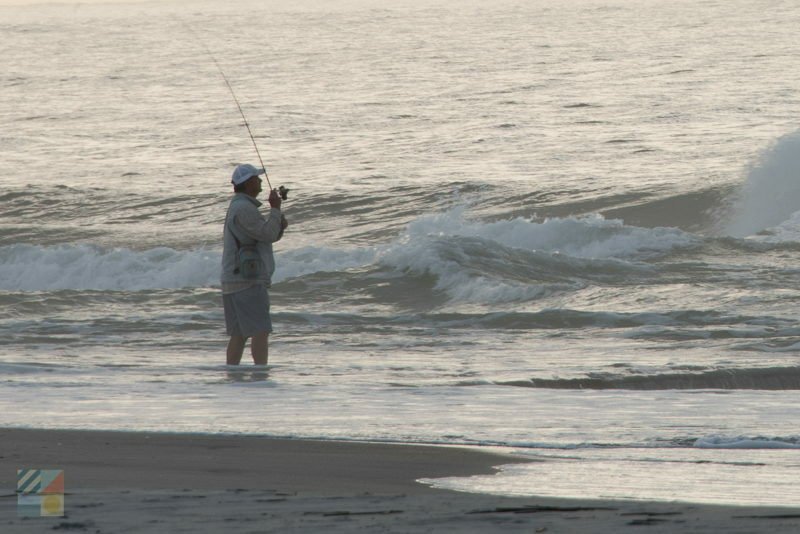 The fishing is exceptional in the fall, and the beach crowds have more or less dwindled after the summer season ends. Visitors should note that the beaches bordering the inlet can be packed on summer weekends, as locals from Wilmington and Wrightsville Beach embark on a well-deserved beach trip by the shore. Arrive as early as possible to secure parking, or plan a trip for a weekday which is not as crowded. Avoid swimming directly in the inlet! The inlet is used by vessels of all sizes, and can have very fast currents that can propel a swimmer out to sea. Watch for windy days when kayaking or cruising, as the choppy waters can create dangerous conditions for paddlers and smaller vessels. 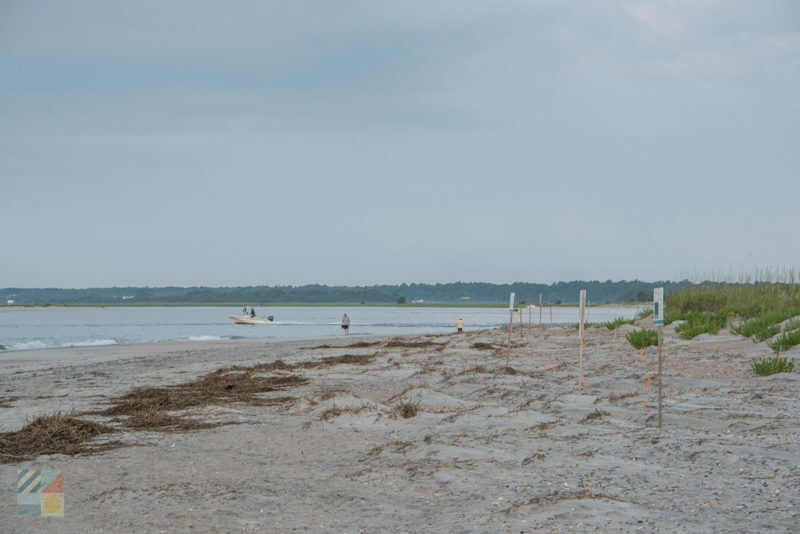 Note that Masonboro Island, which is on the southern section of the inlet, can only be accessed by a boat or kayak. Even so, visitors who make the effort to reach this isolated island will be rewarded for their efforts with 8.4 miles of picturesque, uncrowded, and completely undeveloped shoreline. 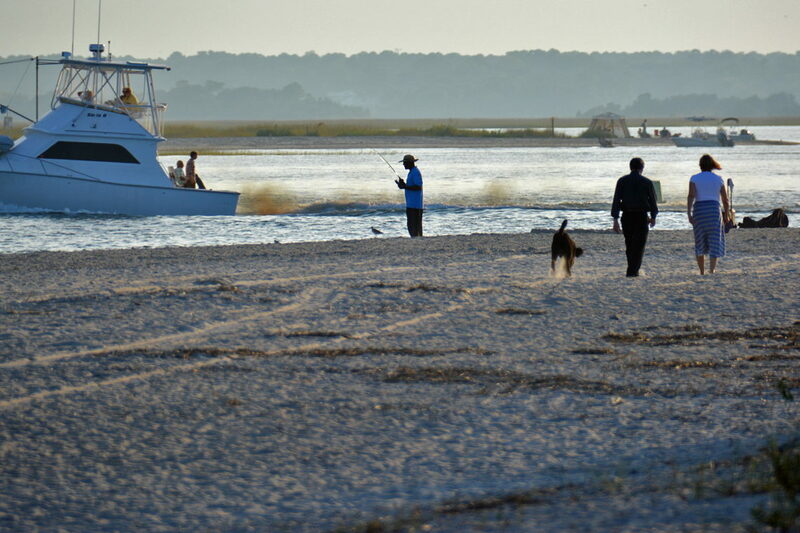 Masonboro Inlet is a popular waterway for all kinds of Cape Fear explorers. Regularly visited and used by mariners, surfers, shell hunters, anglers, and everyday beach goers who love a good view, there’s no shortage of ways to enjoy this picturesque destination. Enjoy a stunning sunrise or sunset over the water, or enjoy an easy cruise to the ocean – no matter how you decide to explore Masonboro Inlet, the sheer convenience and natural beauty makes this a local attraction that’s simply easy to adore.